Every mealtime is an excuse for Malaysians to indulge and breakfasts are no exception. You've heard of 'English breakfasts' and you usually know what you're getting when you order one: toast, bacon, eggs, baked beans, tomatoes, sometimes a sausage. But what would you get if you ordered a Malaysian breakfast? Our nation is renowned for our multiculturalism, which extends to our food and mealtimes as well. Let's take a look at what breakfast time means for different cultures. Dim sum is a traditional Chinese breakfast, which usually takes the form of a table covered with delicious dumplings and bao (buns). Dim sum eateries are usually open by 7am and if they’re popular, you’ll find diners already queuing up by then. While some may balk at having an early morning meal made mainly with pork and shrimp, this really is the breakfast of champions; and you won’t want to eat for at least six hours after! 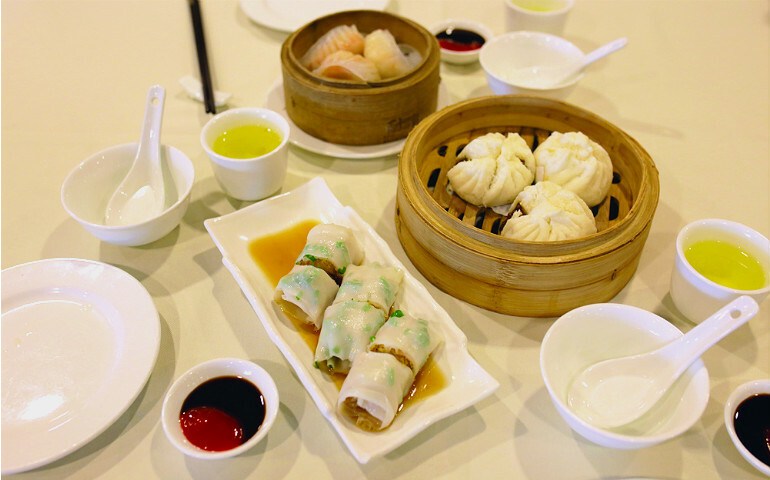 Choose from steamed favourites like har gao (steamed shrimp dumplings), char siu bao (steamed barbecue pork buns) and pork siu mai (pork dumplings). Fried specialties include fried sesame balls and deep-fried wontons; another must-try is the rice noodle rolls called chee cheong fun, which can be stuffed with roast pork or prawns. This isn’t the kind of breakfast you can have every day, but it makes for a great weekend brunch. The test for a good Indian breakfast is that you should feel like having a nap straight after – while that might seem counterintuitive to the point of breakfast, that’s when you know it’s hit the spot! Be spoilt for choice with an array of freshly made appam (rice pancake) served with coconut milk or servings of fluffy idlis (savoury rice cakes) served with dhal (lentil curry) or chicken curry. My personal favourite is a crispy rawa thosai (thin Indian pancake made with fermented rice flour batter with onions, spices and curry leaves). 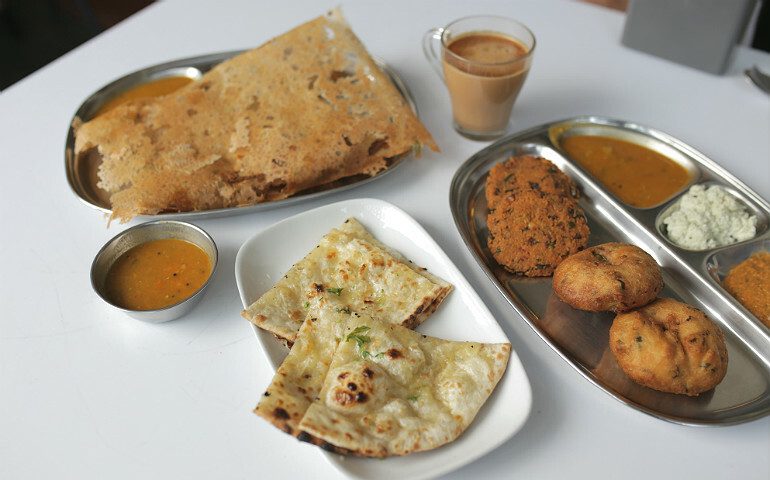 Another top choice is vadai, a deep-fried savoury fritter dipped in chutney, which can be eaten for breakfast and tea time with a steaming cup of Masala tea. There’s also roti canai (flatbread), adapted from the Indian roti paratha; it comes in many different styles and is usually eaten with curry and dhal. 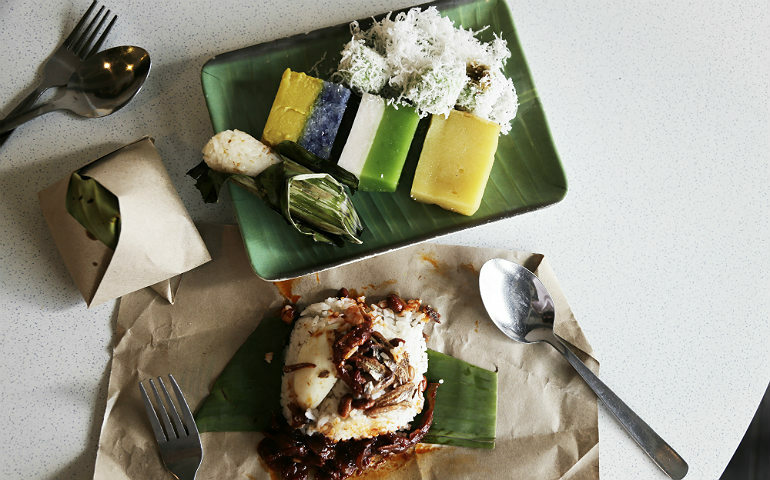 If you haven’t tried a plate of nasi lemak yet, then you are truly missing out on one of the greatest breakfasts in the country – so popular as to be labelled Malaysia’s de facto national dish. A plate of nasi lemak will usually contain the basic combination of coconut rice, anchovies with sambal, peanuts and cucumber – all the food groups are covered! – but many also include a piece of fried or curry chicken for extra protein. If this sounds too rich for the morning, nasi lemak makes for a great meal any time of the day – or even as an afternoon snack. Besides nasi lemak, a typical Malay breakfast can also include sweet cakes collectively called kuih-muih and savoury snacks like curry puffs. There are certain breakfast dishes that are distinctly Malaysian. A prime example of this is kaya (coconut spread) toast, which is kaya and butter slathered over crispy, toasted pieces of bread. 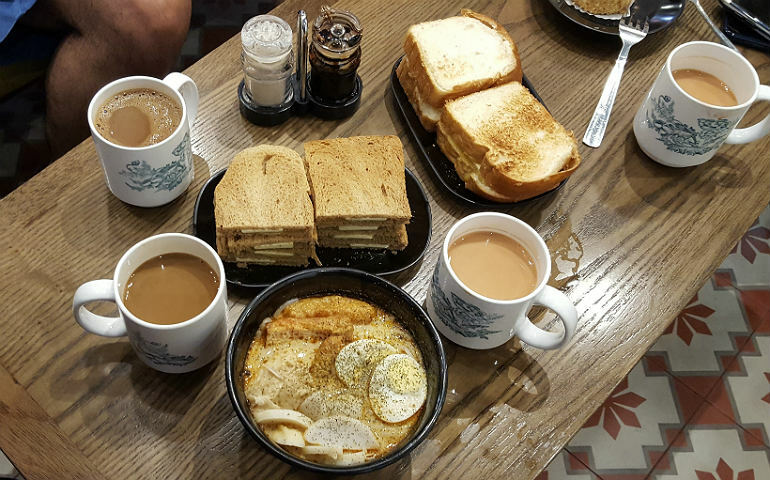 Usually found in kopitiams (coffee shops) – another favourite Malaysian breakfast hangout – the toast usually comes in a set alongside a dish of soft-boiled eggs, which are flavoured with white pepper and soy sauce. If you want a cappuccino or espresso, head to a hipster café with its artisanal beans, because when you have a local breakfast, your choice of drink has to reflect this. Malaysians are famed for incorporating two drinks into one and giving them interesting names. There’s the Milo Dinosaur (Milo powder piled on top of a Milo drink), Michael Jackson (soya bean milk with cincau – black grass jelly), Neslo (Milo and Nescafe) and teh C ping (iced tea with evaporated milk). If all this sounds a little too exotic, you can’t go wrong with a mug of teh tarik (pulled tea) or Ipoh white coffee.